This is an empty corner lot where a house once stood without a normal street running by the north side of the property. Instead there is a pedestrian cement-concrete paved walkway. Ninth Street was never laid on the North side of the lot (between South Monroe St and South Bodin St). 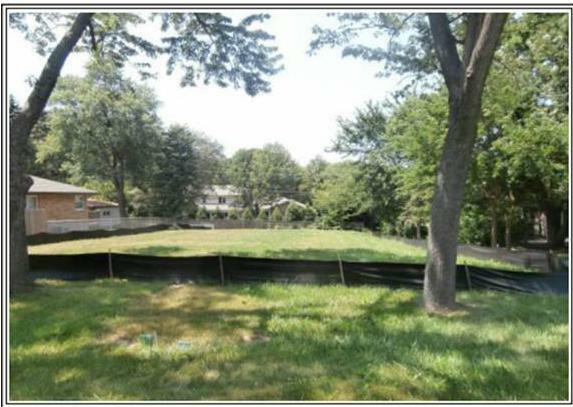 Owner will enjoy one-half of the ninth street through the entire depth of the lot. North half of the above portion of the ninth street has been vacated and annexed to the property at 842 South Monroe. Lot may be flexible to build a house with a walkout basement. 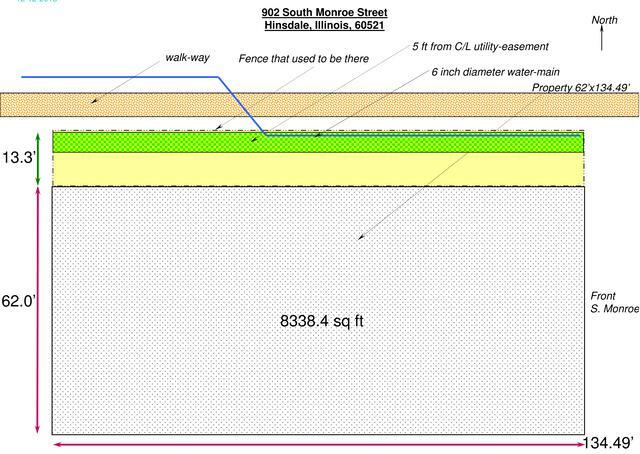 A water main runs below as shown in sketch that may require 5 feet easement clearance for access of any need for service.